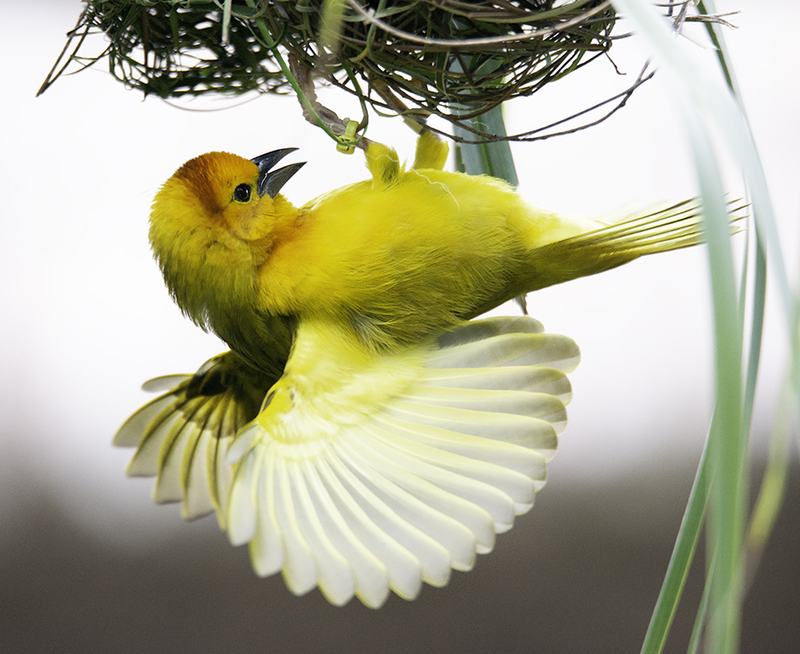 A Weaver Bird taken at New Orleans , LA. Weaver is building a nest. Used a Nikon D800 Full Frame Camera. 1/640 Sec., ISO 1000, F 6.0 used Tamron 150 - 600 mm lens.